“As the sun dims so too can consciousness” says Joanne Hill (Game Of Thrones‘ Hannah Waddingham), dementia specialist and host of a group for local sufferers, talking about that time when dusk falls. It’s an evolutionary trait we all have but it is heightened in those with dementia. Her statement, over half-way through this thriller, takes us back to earlier moody, twilight shots of the picturesque but occasionally sinister Blackrock and its surrounding countryside. 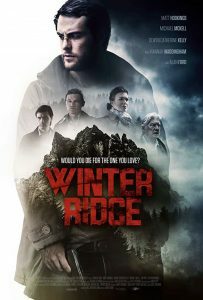 A crime story about the hunt for a serial killer in an English seaside town, while Winter Ridge follows some well-known paths, it differs from your typical police drama in its highlighting of dementia, particularly in elderly people. Neither subject is glamorous, and neither has been particularly well-served in the past. And it actually makes a welcome change to focus on victim, motive, and procedure rather than sheer brutality. There are no half-naked young girls, battered beyond belief, dead on the ground while the cops walk round and talk over them. 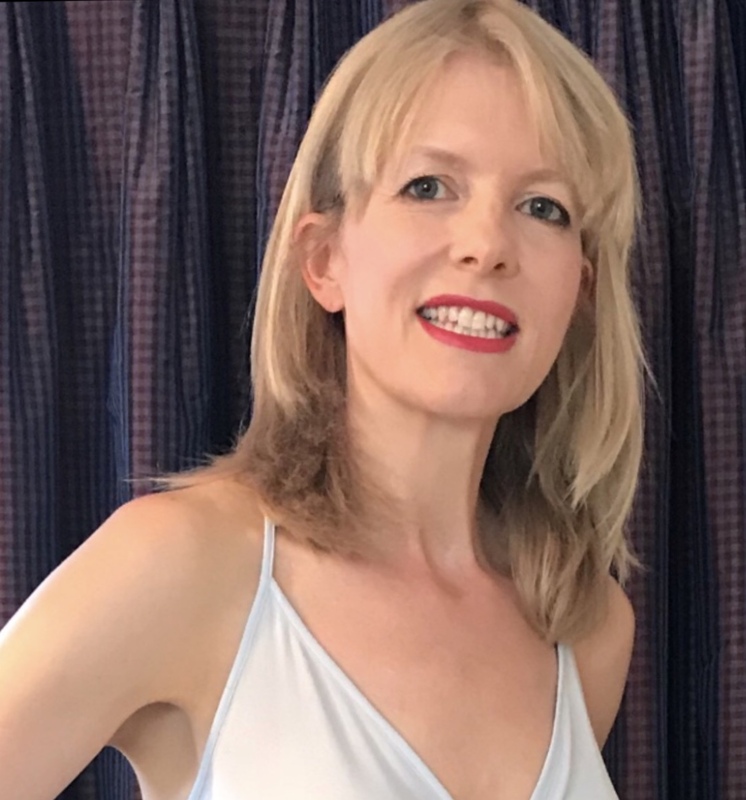 Its focus on dementia also makes the film more relatable; I don’t know anyone affected by a serial killer but I do know about the stresses within families if parents or grandparents develop the condition – particularly balancing keeping a loved one safe while still giving them as much autonomy as possible. And of course most importantly, how terrifying it can be for the patient; a fear that can tip into rage as the condition progresses. The complex and touching performance by Alan Ford as Dale Jacobs, an elderly man with dementia, is one of the stand-outs of the film; his struggle is made worse now he can’t even paint like he used to. His anger as his lucidity recedes and he searches for his late wife is heartrending even before you factor in the serial-killer-on-the-loose storyline. There are some common tropes played out, and director Dom Lenoir mostly restrains them from becoming cliche. Winter Ridge does remind me of those two-hour detective dramas I used to watch in the 90s. That’s not a criticism – I’ve seen a few indie films with such similarities, as the social and geographical isolation of many small towns can be crucial to adding a sense of inescapable menace and claustrophobia (plus of course those sweeping landscape shots), while the rest of the world carries on oblivious. Blackrock certainly fits this mould – bustling by day with tourists and locals, quietly sinister at night, its surrounding beautiful countryside both protecting it and holding the world at bay. The local police station is in an old building, one of those British municipal offices where photocopiers and filing cabinets sit incongruously next to impressive staircases and dark wood panelling. It adds an air of history to the proceedings and the procedures, and the movie’s themes are timeless. Love, loss and letting go; detective Ryan Barnes (Matt Hookings, very good) is trying to cope with the demands of his job while spending all his free time at the local hospital where his wife Sara has been in a coma since being hit by a drunk driver. Though for Ryan work is something of a blessing: “when I’m here… it doesn’t stop for a second”, he says, whereas sitting with Sara time passes slowly. The killer has been targeting local elderly people. All apparently heart attacks, easily explainable in people whose health was already failing. The motive is hard to pin down, once deaths previously put down to natural causes are investigated. We, and Ryan, are sent down a few blind alleys. Is it money-related? Or psychopathic? Or someone deciding they’re making a decision the victim would have made for themselves anyway, if they could? Ryan can’t let the case go, and can’t let Sara go, despite the gentle suggestions of Sara’s nurse, Jessica (the quietly affecting Olwen Catherine Kelley, Jane Doe in The Autopsy Of Jane Doe). He’s not the only one thinking this, as soon a book appears in Sara’s room with the instruction “let her go” scrawled in the front cover. What would Sara have wanted? There are several touches that manage to be neat without being trite. Mike Evans (Ian Pirie), the drunk driver who hit Sara’s car, is first introduced at the police station when he’s brought in inebriated. Ryan commiserates with him over his daughter, who’s on the transplant list. It’s quite a shock to find out seven months on that he was responsible for Sara’s accident. An elderly woman spies a black-clad intruder through the wavy, distorting glass of her greenhouse on a dark night, the wobbliness and lack of clarity as she struggles to work out what is going on mimicking her own condition. It’s quite traditional in the way it plays out, but there are plenty of motives and enough slightly sinister or troubled characters who could be guilty in some way (and I’ll admit that while I did work out the “who” that was after finger-pointing at some other possible culprits, and the “why” was a surprise). It mostly holds its nerve as we get to the final stretch and the denouement, though I think some artistic license was used regarding hospital procedures. Some of the characters are archetypes, though that doesn’t make them any less entertaining (Michael McKell’s police chief is a blast). And there are some terrific performances, particularly Hookings, Waddingham and Dale. This is a taut thriller, and Director Dom Lenoir has proved himself to be a steady and assured pair of hands. He gets measured, and in some cases very moving, performances from many of his cast, and maximises those filming locations. The town of Blackrock and the moors, woods and bubbling streams around it lend themselves well to the screen; there’s also a hunt through a church undergoing refurbishment, the cavernous stone building hung with thick opaque plastic sheeting, that works really well. And how refreshing (probably not the best word to use in relation to dead bodies, but still) to be focusing our attention on older people and dementia. Elder abuse is worryingly common, whether financial or otherwise; and how to balance people’s safety against their right to run their own lives if they develop the condition is something many families struggle with. And of course the ease with which older people can be ignored, their murders filed as natural causes until the corpses start to pile up.